In the words of a well-known television duo, location is everything. This may be true when buying a new house, but it also plays a major role in the creation of fantasy for both the big and small screen. Though Britain, generally, is a favourite place for creators of film and television make-believe to use as a backdrop for their imaginary worlds, London, the nation’s capital, is far and away the most popular location. Why? Well perhaps, besides the instant recognisability worldwide of its famous landmarks, buildings and public spaces, it is the fact that within the confines of wider London there is such diverseness. Where else can you find forests, parkland, inner-city streets, office blocks, palaces, gentrified avenues and urban sprawls all within a few square miles of each other. Virtually every style and genre of film from period drama to apocalyptic horror could and, over the years, has been filmed in London. 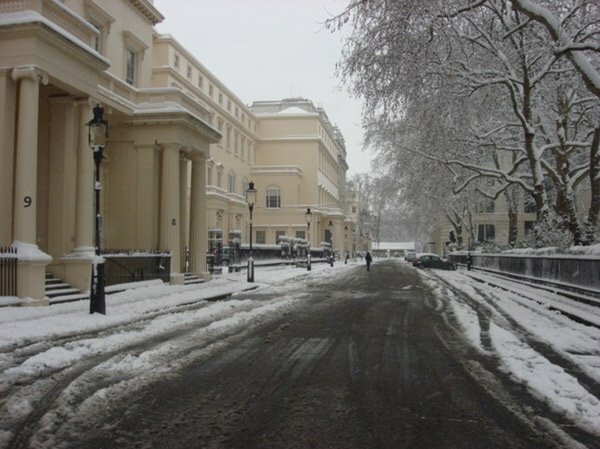 Which is one of the joys of living in the city – here you can see films comes alive before your very eyes; occasionally you may even be lucky enough to see a film in production – Carlton House Terrace off Piccadilly Circus is an ideal place to hang out as they’re always filming some period drama there. Ever since I can remember I wanted to come to London. Growing up in rural Northern Ireland the only contact I had with it was through newspapers, television or film. 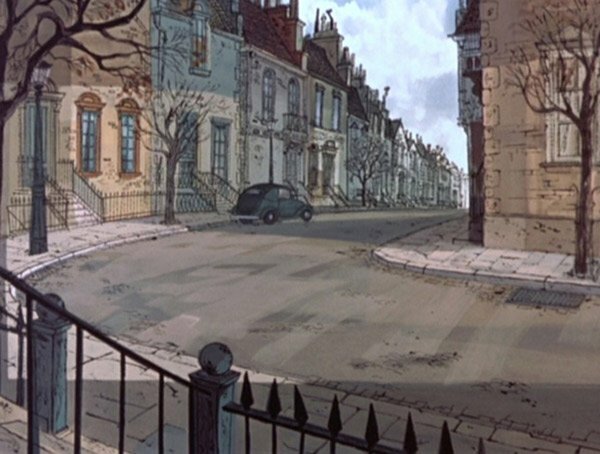 Take for instance the faded grandeur of the streets bordering Regents Park as depicted in 101 Dalmatians (1961), or the rooftops Julie Andrews floated over in Mary Poppins (1964). Now, reality may not capture the same bohemian air depicted in these Disney’s classics, but it does have its own unmistakable magic. As a result it always had a slightly exotic quality about it, and a strangely hypnotic draw for me. As I got older I realised that this was the place to be if I really wanted to do journalism, and in particular write about film. So I moved here in 1990 and – except for a couple of brief returns to Northern Ireland – have lived here ever since. One of the advantages of being in London (or probably any large city) without much money – which has generally been my experience – is that you are forced to walk everywhere. Which is good because, apart from getting to know the place, you also get to see so much more than if you’re stuck on the underground or a bus. You start to recognise places when they turn up in films or on the television, and to realise when something was shot on actual location as opposed to a set. Amongst my favourite places in London is the park in Putney that runs by a stretch of the River Thames. Bishop’s Park which surrounds the beautiful All Saint’s Church, Fulham, is an unspoilt oasis of calm and tranquillity (at least in London terms). 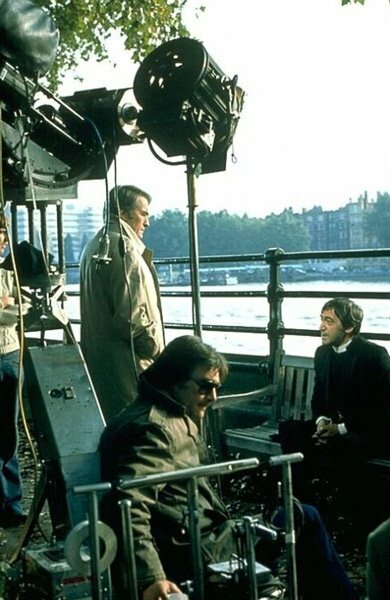 Not that it was for the unfortunate Father Brennan (played with characteristic exuberance by Patrick Troughton) who met his end there in The Omen (1976). 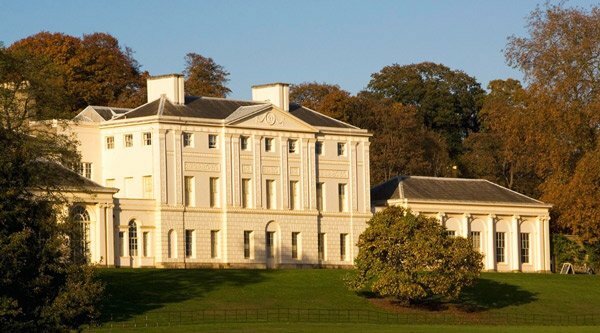 Or how about Kenwood House at the northern edge of Hampstead Heath in North London, where scenes from Notting Hill (1999) were filmed. 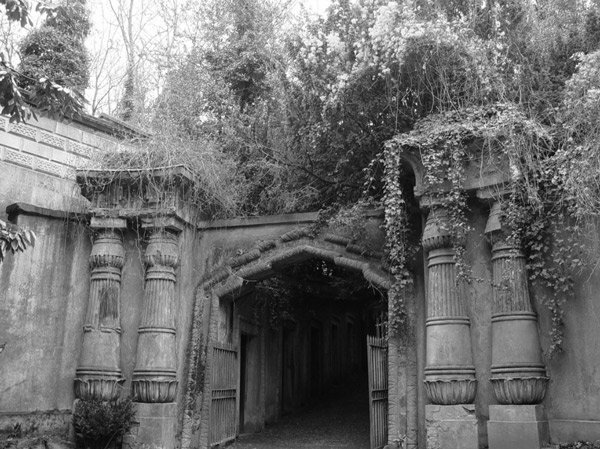 As for the entrance and myriad of avenues within Highgate’s West Cemetery, it’s been used in so many horror films – including the opening scenes of Amicus’ Tales From The Crypt (1972) – that it’s easy to loose count. One of the best things to watch though if you want to see a host of London locations is the episode of the television series The New Avengers, called Sleeper. Here Steed, Gambit and Purdey spend most of the show running madly around central London past a myriad of famous landmarks from Camden Lock to the Post Office Tower. Knowing the city however, does have its drawbacks. As with films set in any large city, it is inevitable that filmmakers choose locations which the general filmgoer will recognise. Anything set in New York must include Time Square, whilst those in Paris will likely feature a shot of the Eiffel Tower. London is no different. The problem for anyone who actually lives there is that they generally see a sanitised version of reality, as well as one which is frequently amiss geographically. For instance take the scenes from Disney’s live version of 101 Dalmatians (1996), when Roger is taken for a walk through central London by his dog Pongo. Now you might cut through Burlington Arcade to get from Leicester Square to Trafalgar Square in the movies, but in real life the half mile detour would doubtless take you slightly out of your way. It is fun though to know that in real life the places depicted on screen never look quite as polished as the movies would have you believe. I often find myself wishing I could get a job as a film extra – even a fleeting glimpse of myself on screen would be a dream come true. This may or may not happen at some stage in the future, who knows. In the meantime however to be able to walk past the locations used in some of the world’s most popular films is definitely the next best thing. I had such high hopes for The Quiet Ones (2014), the new horror from Hammer Films. The studio which made its name by terrifying audiences during the 1960s and 70s has in recent years tried to resurrect itself, with varying degrees of success. The Woman in Black (2012) managed to capture some of the studio’s old magic, though Daniel Radcliffe did appear a little out of his depth. This new release though lacks life. If I were Hammer I’d keep as silent as possible about it, and hope that their sequel to The Woman in Black, due next year, is more in keeping with the style for which they became famous. Getting noticed – it’s not what you know.